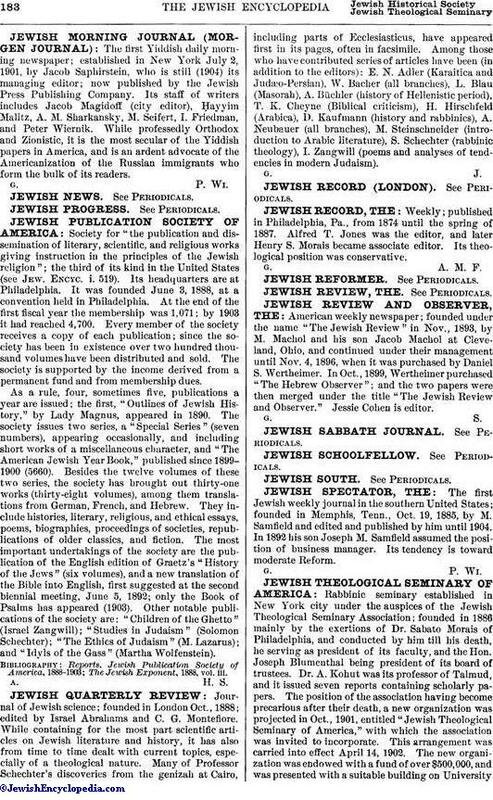 American weekly newspaper; founded under the name "The Jewish Review" in Nov., 1893, by M. Machol and his son Jacob Machol. at Cleveland, Ohio, and continued under their management until Nov. 4, 1896, when it was purchased by Daniel S. Wertheimer. In Oct., 1899, Wertheimer purchased "The Hebrew Observer"; and the two papers were then merged under the title "The Jewish Review and Observer." Jessie Cohen is editor.